I think this is one of the first places that I found back in March when I first moved over to East London. I instantly fell in love with the whole feel of this place from the LA industrial interiors to the open-plan bakery with working chefs in the background. It reminds me a little of an incredible restaurant in LA called Gjusta where delicious bread is also at the centre of everything. They supply their bread to various restaurants in the area and I recommend grabbing a sourdough for the weekend or if you have a dinner party. 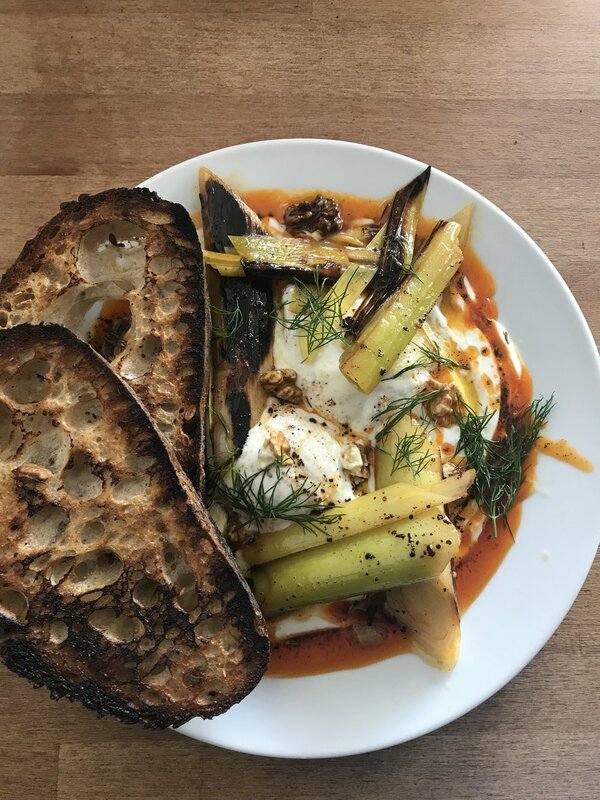 The blackboard menu is seasonal and changes every week from roast leeks, chilli and eggs to broad bean, buffalo mozzarella ciabatta. They have a large rustic outside seating area which can be a great sun trap.